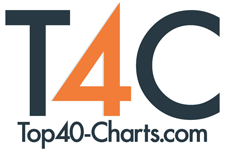 New York, NY (Top40 Charts) Heptapod is a song with a lot of feeling. It contains anguish, sadness and acceptance of all these negative feelings. The video is reflective of those mixing feelings that LOYA presents in the song. The video shows a black and white video segment of him following behind the girl who he is singing about and a in color video with his anguish being visually portrayed. The music video is of what first appears to be a couple. He is singing while walking behind her, he is watching her and not walking too very far away from her. The video is in black and white, which always adds a touch of romance to things. However, she seems to completely disregard him, it almost seems like she doesn't know that he is there, or care that he is there. She doesn't look back once, eyes always forwards. She walks casually, smoking a cigarette or looking up, slowly winding along where ever she is in some city. This is a visual which is reflective of the song. He's trying to get her attention, her love, somehow but he is unsuccessful. It's a romance that cannot be and he can't let it go. They are walking around a city, through a train yard, or just on some sidewalk. In segments of the song the video changes scenes. He is singing once again, but this time he is alone and in color. He has drips of make-up on his neck and around his eyes. The make-up around his eyes looks like tears; the colorful bit around his neck looks like it is bleeding and has been slashed. The videos' discrepancy in the black and white scenes and the colored scenes works well to flesh out his feelings and the song fully. The colored scenes show his feelings of love and anguish directly while the black and white scenes are displaying a more muted version of those feelings. The anguish he feels in the colorful scenes is also brought to attention with the appearance of the slashed neck and the crying eyes. The blue and pink of the make-up in the colored scene add a different tone than a red colored make up would. To color it red would make it more shocking and yet would create the look of true blood. But the blue and pink tones add a more defeated tone a feeling of peacefulness as well; he has accepted this rejection to a certain degree. It also makes the make-up more eye catching and interesting. The colorful part of the video is very eye catching; it creates a visual representation of his feelings. They are strong feelings however he is hiding them. This is because when he is around her he does not show his feelings, he merely watches her. The black and white parts of the video represent the muted tones of his true emotions. Heptapod is a song about so many emotions which makes a great medium for music. He is struggling to conceal his true face to this girl. However, he doesn't know if she cares.